There are two ways in which Governments can be made to bend to individual will. The first is to persuade those in power to flout policy to favour a person or an institution. This route can open governments to criticism because the deviation is easily established. The other is to get Government to write policy that fits the needs of a beneficiary. 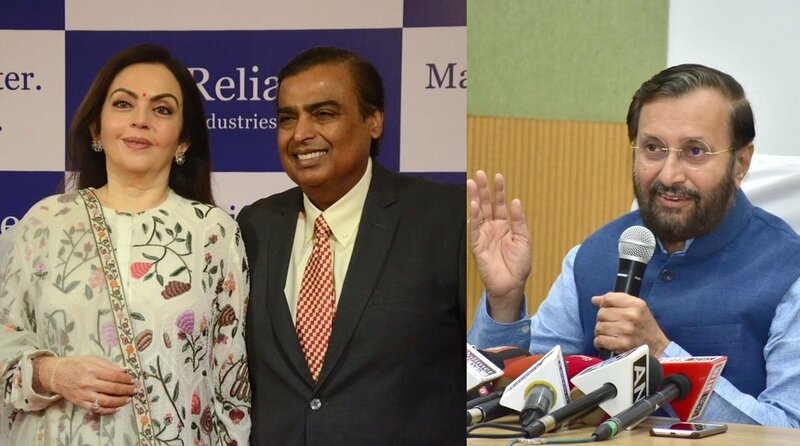 The Institution of Eminence scheme formulated by the Government last year appears to be an example of the latter, tailored as the Gazette notification of 29 August 2017 was to favour the proposed Jio Institute of the Reliance Foundation run by Mukesh and Nita Ambani. But the devil is in the details. It should preferably be multi-disciplinary or interdisciplinary and have both teaching and research focus of an exceptionally high quality. It should offer interdisciplinary courses, including in areas of emerging technology and interest as well as those of relevance to the development concerns of countries like India and also award degrees, diplomas and other academic distinctions in such interdisciplinary areas. It should have a good proportion of foreign or foreign qualified faculty. Foreign / foreign qualified faculty means: a. Any faculty of non-Indian citizenship, or b. Any Indian citizen who has spent considerable time in academics in a foreign country, with his academic qualification/experience from top 500 Institutions figuring in a reputed world ranking. There should be a reasonably good mix of lndian and foreign students. There should be a transparent merit-based selection in admissions, so that the focus remains on getting meritorious students. The admission process should be need-blind – so that once a student gets admission purely on merit, such a meritorious student should not be turned away for lack of financial ability. The faculty student ratio should be not be less than 1:20 at the time of notification issued declaring an Institution as an Institution of Eminence and should increase over time so as not to be less than 1: 10 after five years of this date. The faculty for this purpose includes the regular faculty, adjunct faculty, and long-term faculty (for at least three years). Part time faculty shall not be counted for the purpose. There should be laboratory facilities to undertake cutting-edge scientific research for those Institutions of Eminence Deemed to be Universities doing scientific research. In case of humanities, social science and other interdisciplinary areas, the faculty should be engaged in research and field work in frontier areas using the latest methodologies. The Institution of Eminence Deemed to be University should strive to achieve social impact by engaging in applied research and innovation in issues of concern to developing societies. The Institution of Eminence Deemed to be University should develop teaching and research collaborations with a reasonable number of global universities figuring in the most reputed global rankings. Even a cursory glance at these parameters, unexceptional except for the use of delightfully vague phrases such as “exceptionally high quality” and “most reputed global rankings”, would suggest that they can only be met by existing institutions, and not those proposed to be set up. For instance, how can an institution that has not been set up have a reasonable mix of Indian and foreign students, or a faculty student ratio of 1:20? How indeed could it have laboratory facilities of any quality, leave aside those capable of cutting-edge research? The Institution of Eminence Deemed to be University should be known for promoting a culture where faculty are encouraged to publish regularly in peerreviewed journals and engage academically with the issues of concern to the society. It should have a record of research publications at the mean rate of at least one per faculty member each year in reputed peer reviewed international journals based on publication made by top 100 global Universities in these journals. The Institution of Eminence Deemed to be University should have a worldclass library with subscriptions to reputed journals in the areas of courses it is offering. The Institution of Eminence Deemed to be University should have student amenities comparable with that of globally reputed institutions. The Institution should be accredited by National Assessment and Accreditation Council (NAAC) or an alternative version of NAAC which conforms to UGC (Institutions of Eminence Deemed to be Universities) Regulations, 2017 or its amendments and also be assessed by at least one reputed international accreditation agency, one whose ratings are a credible and widely accepted global benchmark. So how did the Government do away with all these requirements to favour the Jio Institute? Quite simply by adding a few pertinent clauses to the notification. So, there we have it. An applicant with big money and a statement of intent and a bushel of promises would qualify under criteria that existing institutions would find exacting. Who better to do so than Asia’s richest man? And thus, Jio Institute was able to satisfy the Empowered Experts Committee that it would be able to meet all the requirements listed in the Gazette notification without a brick having been laid. So impressed were the experts that they noted in their report to the Government that only Jio Institute met the four criteria they had identified for inclusion – (i) Availability of land for construction of the institution; (ii) Putting in place a core team with very high qualification and wide experience; (iii) Funding for the institution and (iv) A strategic vision plan with clear annual milestones and vision plan. It is now well known that the presentation made by the Reliance Foundation’s Jio Institute was led by Mr Mukesh Ambani and his Adviser, Mr Vinay Sheel Oberoi, an IAS officer of the 1979 batch who had retired in 2017 as Secretary in the Ministry of Human Resource Development, the wing of government under which the University Grants Commission operates and the one that appointed the Empowered Experts Committee which selected the Institutions of Eminence. 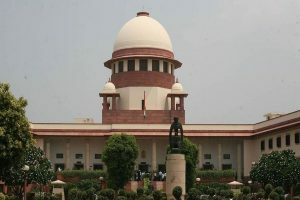 The announcement on 9 July by the Ministry of Human Resource Development that the yet-to-be-launched Jio Institute of the Reliance Foundation had been chosen as an Institution of Eminence was greeted with anger and derision. Since that day, the Government has sought to convey an impression that it is back-pedaling. Now, it has come up with the facile defence that the Jio Institute has not in fact been recognised as an Institution of Eminence but has been issued a Letter of Intent that will translate into the eminence tag only if the institution delivers on everything it has promised.